Controller Clinic #37: What's A Good Pro Backup System? The Allen & Heath Xone:23C can keep your computer sound going in the event of a controller failure, as well as giving you a mic channel. Forum reader Carl says: “I have been a mobile DJ for years. 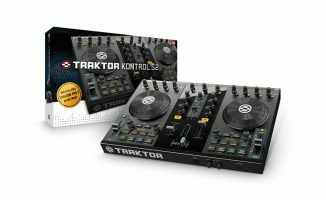 Recently, I purchased a Traktor Kontrol S2 which has allowed me to lighten my load considerably, and set up faster onsite (as opposed to using an analogue mixer, and external sound card). I never do any scratching, so having the S2 seems like real overkill. However, I like it, and will probably keep it anyway. By “S2 fails”, I presume you mean the laptop crashes or something like that. So you’re going to want either a full separate digital backup, or some kind of analogue fall-back. And are you envisaging being able to DJ all night on the new system, or just while you reboot? 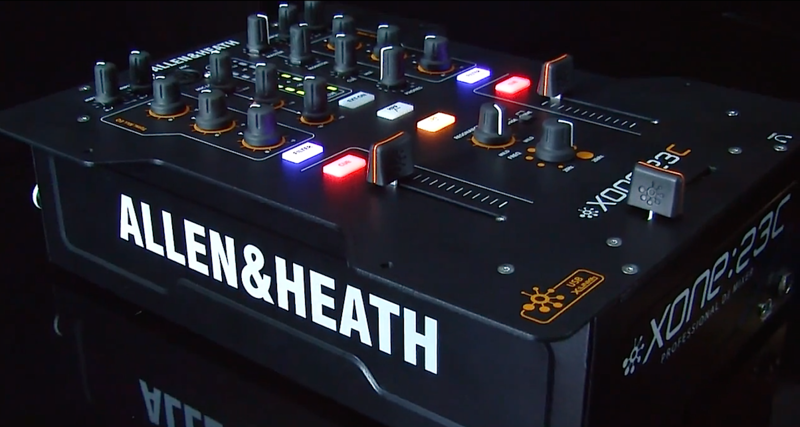 If it’s just to get you back on your feet, why not just have a tiny analogue mixer through which you plug the S2 and your DJ microphone, plus a simple audio out from an MP3 player or even your mobile phone (or iPad if you have one)? That way you can use the phone, iPad etc to provide music while you sort out the computer (ie reboot). If you’re worried simply about the S2 failing and not the laptop, a small mixer like the Xone:23C has a decent mic input, good quality sound card and digital channels so you can DJ from your laptop, using the mouse and keyboard rather than the S2. What do you use as your back-up system in the case of laptop or controller fail? Please share your thoughts below. 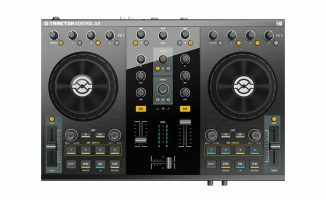 New Traktor Kontrol S2: Native's Answer To The Twitch? A xone 23c is as expensive as an s2 … imo you can better purchase a 2nd S2 as a backup. And an ipad with a reduced mp3 library traktor dj in case the laptop fails. I have an NS7 (which I’m dumping) and a VCI300 as my backup controller. I use the ZED10fx mixer to plug mics, an iPad, and an iPhone in the event my computer needs a reboot. I’m able to keep music pumping with Djay 2 on the iPad and iPhone. Plus I use the phone to purchase requests that aren’t in my library. I also hook a karaoke laptop up to the ZED. Last night I had no controller issues with the VCI300. I had that, 3 mics, and the karaoke running through the ZED. Maybe it’s not super helpful to say this, but I agree with Bart. 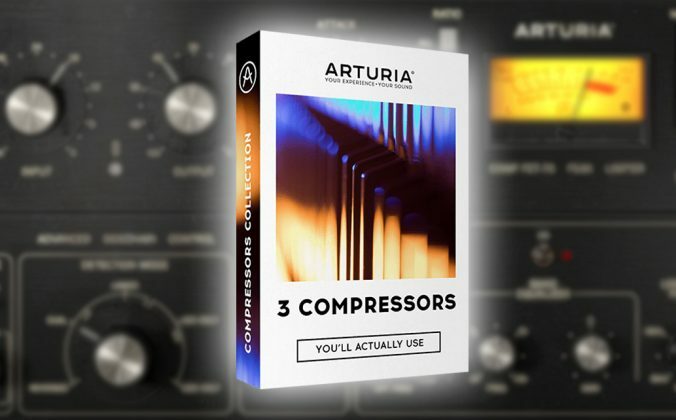 If you are looking for a cheap backup system, another S2 seems like the way to go. And if it’s to back up the entire system, there are really cheap laptops that will run Traktor (turn off wifi and all other programs) well enough to buy you the couple days to repair your main one. If portability is also a concern, there’s the x1 mk2. 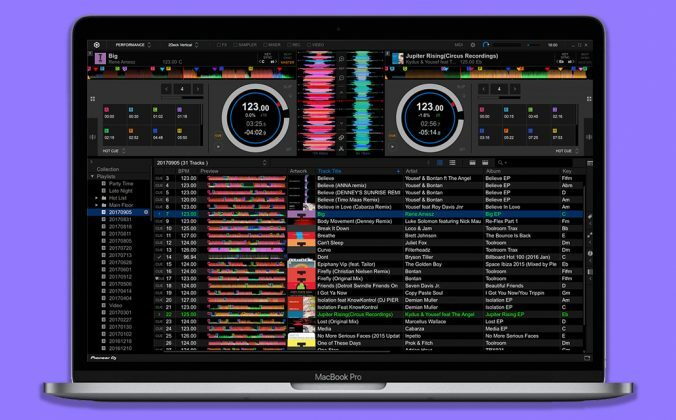 Ipad with djay and same playlists as computer — Extremely portable and relatively inexpensive. Never have to worry about failure. If controller fails i can run off computer or Ipad, if Ipad fails I can run off controller and computer, if computer fails, I can run off controller and Ipad with dJay using spltter cue cable. I use either with WeGo or Beatpad depending on gig. Can’t be happier plus with Spotify integration, I don’t have to worry about some obscure request. i don’t do any scratching and more or less use my platters as jog wheels to cue up s song where I want to. I’m using a mix track pro for this because it also has the built in sound card. 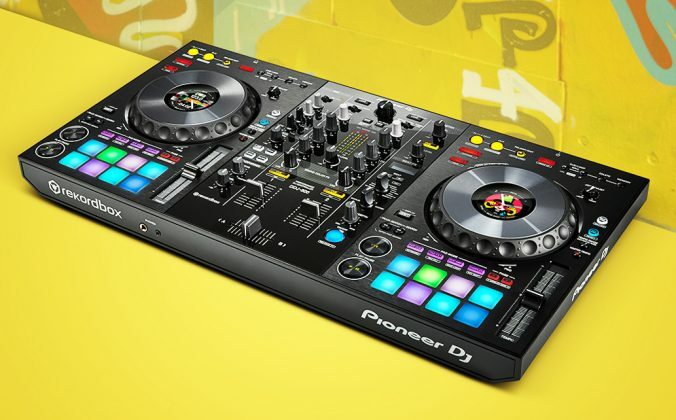 Is there a better controller that is more compact and has effects for the DJ mic also. 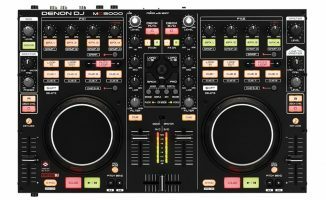 If my computer crashes/dies, I have my iPad with DJ Player connected to my Denon MC6000mk2. If the controller dies, I have a small Mackie 402-VLZ3 line mixer in my bag that I can have running in a couple of minutes. I’ve thought about packing a spare controller, but the idea of hauling any more gear — in addition to two lights and a projector for Serato Video — weighs me down. My iPhone has DJ Player and the best of my collection, too, so I think I’m covered. For clubs the plugging the phone in is a great idea. But if doing weddings etc you need something better imagine if your only source of music comes from your phone and you also need to use the phone to ring round for some backup kit. I would suggest mixer and small dj twin MP3 player in a flight case with enough music on memory sticks to get you through a gig. Was thinking the same thing, I love my mc3000. I just got an AKAI AMX and i love it! 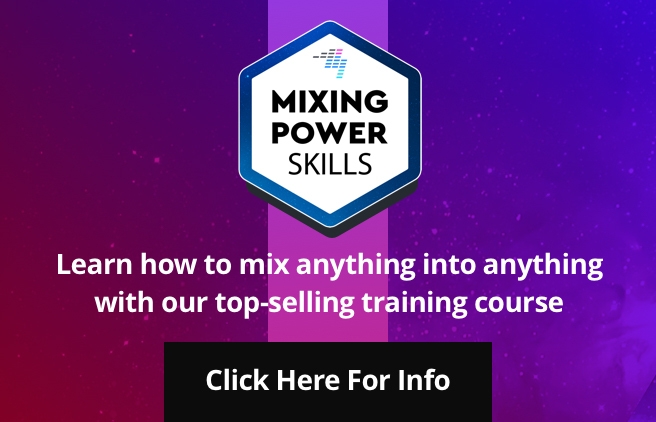 The more I see that little bit of kit, the more I think I might like to have one in the bag… But what would your plan be in case it was the laptop, and not the controller, mixer, or SL box that was giving you trouble? Just curious. If your S2 is Mk2, just have Traktor DJ on your iPad. 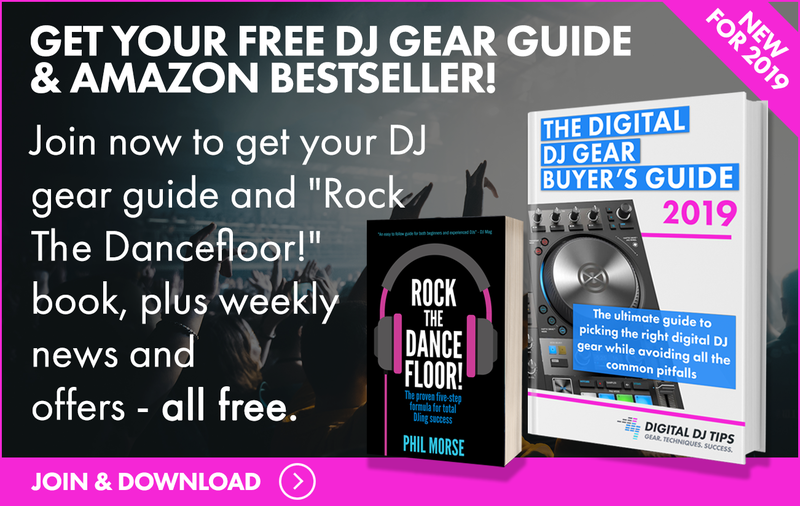 If your computer fails DJ off the iPad with the S2. 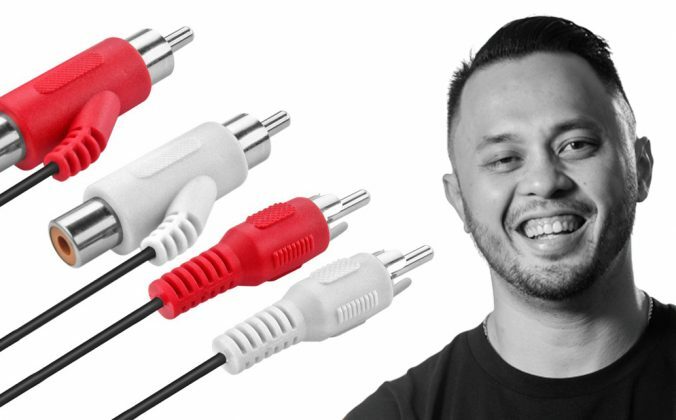 Bring an 1/8″ to dual RCA cable to plug your computer into the mixer for PA and DJ from your keyboard if your S2 fails. That way you have hardly anything extra to carry. I haven’t been DJing very long but my computer crashing would hurt pretty bad since I use a projector and run music videos. For my backup I have two shuffle type mp3 players I have loaded up with music and a 12-channel mixer. I would also turn one of my rotating moonflower lights around to point it at the back screen. I have been contemplating using video too and expanding my light setup (I REALLY don’t want to, but I get asked for it more often). 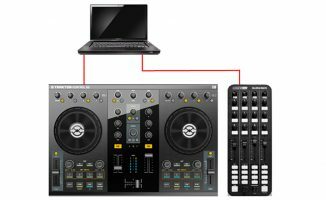 If I go that route, I will use a second laptop as my DMX (lights) controller and install it so that I can just move my external harddrive over to the second laptop and run my DJ software from there. I’ve been messing around with MikuMikuDance software. Although it was originally designed to do dance videos for 3D models based on the Yamaha Vocaloid software, it can be used for general 3D graphics, although it’s not reactive and have to hand animate everything. For a my primary backup device I use the American SDJ1. This unit plays music from SD cards. The best feature I like about the SDJ1 is it only takes .5 seconds from turn-on to music playing. When at a gig I always have the SDJ1 ready to play with just a push of play. Also I have my SDJ1 running on batteries. No adapter needed. had a laptop stolen during my residency, for a week i just had ipad running djay! used it 3 nights in a row with no failure at all, everything streaming from spotify. the splitter cable goes into a dj mixer nicely so i just used the ipad as a player, adjusted my pan knobs, and played in mono. no one noticed a difference other than my completely different library. Well, an S2 isn’t “professional grade” to begin with, so the OP should re-analyze their requirements. I like Phil’s recommendation of the Xone:23. It’s an inexpensive yet incredibly good-sounding and quality mixer. 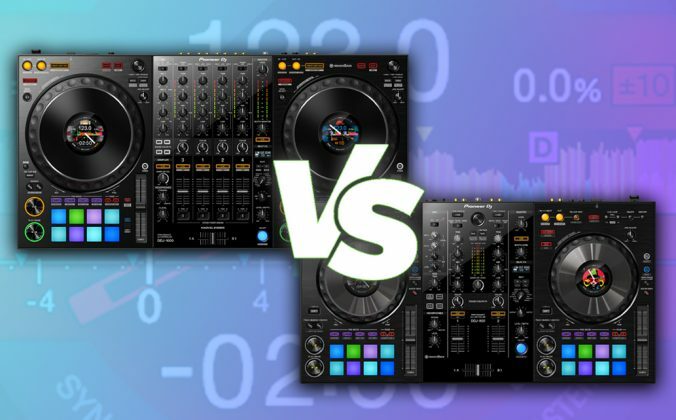 Why not a pair of CDJ-850s or so, and use them in HID mode or Timecode with Traktor? If traktor or your laptop takes a dump, have a USB or CDs on hand to finish out your gig. Problem solved! Closer to professional grade and monumentally more flexible and better sounding than the S2.